Cheez-It Baked Snack Cheese Crackers (Pack of 36) only $6.52 shipped! Running low on snacks? Stock up on Cheez-It Baked Snack Cheese Crackers with this great deal! 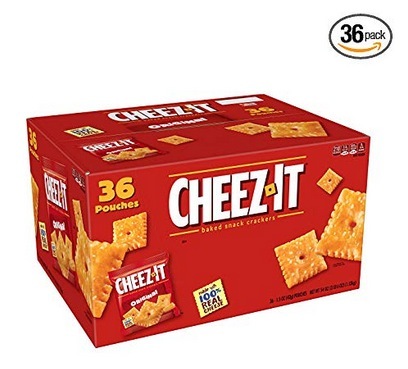 Amazon has these Cheez-It Baked Snack Cheese Crackers (Pack of 36) for only $6.52 shipped when you checkout through Subscribe & Save! That’s like paying only $0.18 per pack shipped! « Free Duncan Hines Size For 1 Dessert at Publix!